More poetry for mindfulness: Rainy days.. The weather in Britain in the past two months has been extraordinary. Talk of climate change was once more to the fore as we waited in vain for the crisp, cold days of winter. Instead of a white Christmas we had the warmest December on record, record rainfall and the consequent horrors of flooding, and now January is throwing everything at us. Winter is often a time for reflection, but it can be a time when the black dog of depression and deep sadness comes over us. Relationships are vulnerable, the world seems drab after the light and sparkle of the festive season and spring can feel a long way off. Do you have any poetry that helps still your mind and enables you to focus? We would love to hear your ideas. 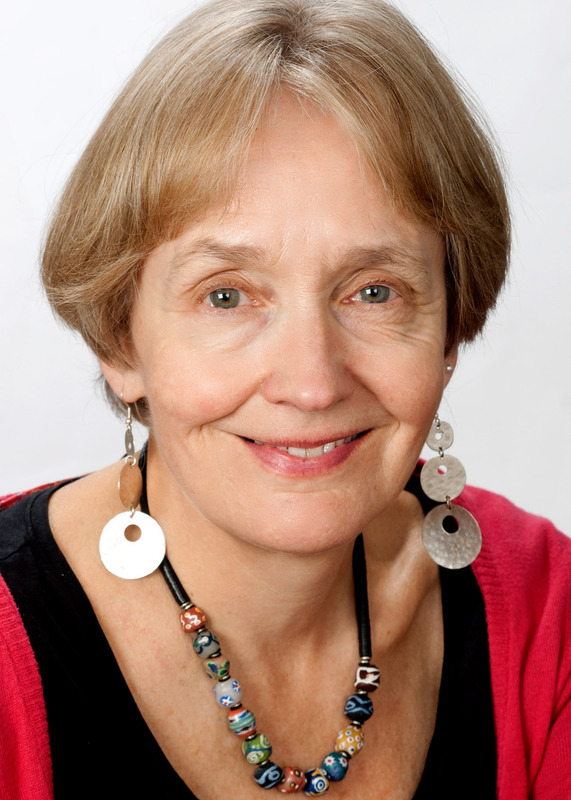 Miranda Bevis, our Mindfulness expert, is offering new 8 week courses this month. 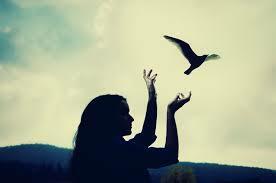 Today we have been thinking about letting go – of people who can no longer be in our lives, of pain and hurt that can disempower you, of a dream that can’t be fulfilled or any of the myriad things that prove to be temporary in our lives, however much we wanted them with us always. ‘Letting go’ is an idea that many find difficult to understand. The idea that clinging on to things until the bitter end as a mark of strength is ingrained in many of is. We are told,’don’t give up, don’t give in’ – how can we square that with letting go? Well often the only way to move forward or come to terms with what is past is to forgive others, forgive yourself and open your mind to all the new opportunities that might present themselves. Painful, yes very. Honest, yes, always. Here at The Terrace we love to find a poem that seems to express a thought we are grappling with. This one, by Steven Hickman, is also a poem for mindfulness. Just breathe and be in that moment. Like the hippo, half close your eyes and sit, Seeing all, both guilt and glory/Only noting. Only noting. But that’s MY story. Don’t let your past control you. See it all, accept it for what it is and in doing so work to set yourself free. 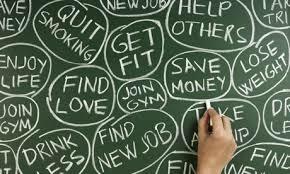 Action for Happiness – will it work? We have to try…. Now Action for Happiness wants to get the course into hundreds of communities and is running a crowdfunding campaign to back it up – it isn’t a profit making organisation so needs support (and volunteers) to get it off the ground. It is easy to be cynical about something that seems to offer what appears to be a simple solution to the many problems in our society. Of course we affect the happiness of those around us, and it is never a bad thing to help others. But it is easy to forget those life enhancing things in a world that is so fast paced and driven towards commercial and personal success. We don’t always put the happiness of ourselves or others first. 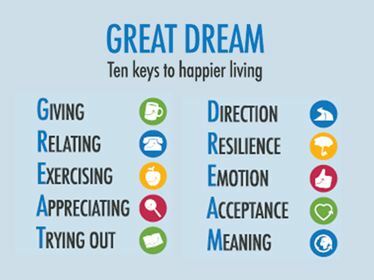 Action for Happiness has what it calls a ‘Great Dream’ – offering 10 keys to happiness. No one can argue with any of those terms as a means of finding life easier to cope with and more meaningful. It is a ‘great dream’, but small steps can be taken every day to achieve greater happiness, and we have to at least applaud the attempt to get us all to take stock of what is important to us. Amongst other things, Action for Happiness suggests we take more notice of the world around us, connect with people and keep learning new things. It supports a mindful approach to life and the course it wants to take out into the world asks big questions, such as What really matters in life? What actually makes us happy? and How should we treat others? We were relieved to see that the project doesn’t expect those experiencing difficult times, depression or anxiety, to ‘pick themselves up’ and move on by themselves. It acknowledges that we all need help at some time and we need to ask for it when we are ‘stuck’ and can’t find a way through. In fact, there is a whole page on their website devoted to countering arguments put forward by sceptics who feel the whole idea is too simplistic and subjective. 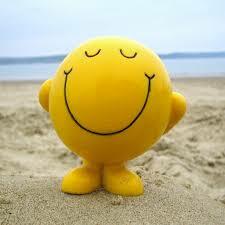 So do take a look at the Action for Happiness website and let us know what you think. Do you have any concerns? We would love to know what you think. Our view is that surely we have to try? The world seems to be going to the proverbial hell in a handcart at the moment, with our global humanity being lost in political maneuvering and brutal conflict. We think we know how to be happy, but it can’t hurt to remind ourselves every so often, can it?